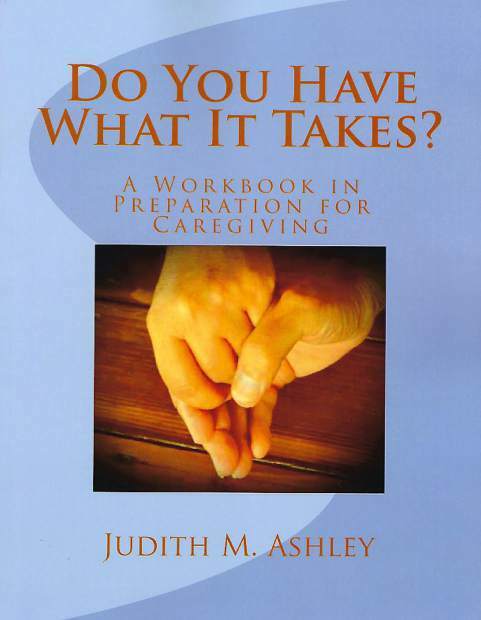 Judith M. Ashley's book is a practical workbook to support those who have started a caregiving role. The Union sat down with local author Judith M. Ashley to talk about her book, “Do You Have What It Takes? A Workbook in Preparation for Caregiving.” What follows is our Q&A with Ashley about her life and her book on caregiving. I grew up in England and emigrated from the UK in 1965 with my family. 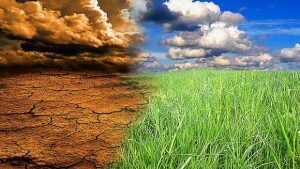 And, though now retired from the high tech industry, where I served clients in many parts of the world as a Human Resources Consultant, and have also retired from my private practice as a Certified Reality Therapist, I do still practice as a DiSC Personal Profile System Administrator and love contributing to the quality of people’s lives. We came from the long, snowy winters of down east Maine to be closer to family and live in a warmer climate. I’ve always been a letter writer, and during the time when I went back to the UK to be my mother’s primary caregiver during her terminal illness, I wrote many letters to my husband in the U.S., sharing the everyday work I was engaged in. “Do You Have What It Takes? A Workbook in Preparation for Caregiving” is a practical workbook to support those who have already begun, and for those who foresee taking on a caregiving role. The book shares real-life experiences of hands-on caregivers; each experience is followed by questions to help the reader assess his or her own capacity for giving care to a terminally-ill or frail person. Also valuable are the questions about final arrangements, medical equipment while caregiving, a recommended reading list, and ideas for relatives and friends to help lighten the burden of caregivers, (such as the work of the Volunteer Support Specialists provided by One Source: Empowering Caregivers — who are right here in Grass Valley). Readers of my first book were my first inspiration — they asked me if I knew that I could be a caregiver before I took on that role — and I hadn’t known, few people do before the fact. The catalyst to actually begin this book, however, came as I completed the process given in the book “Designing Your Life,” by Bill Burnett and Dale Evans — both Stanford professors — this process was a wonderful journey that led to magical moments of self-discovery and inspiration. The most challenging aspect of writing for me is to stay completely true to the book’s purpose throughout the work, coupled with the intention to support the reader finding his or her own wisdom within its content. A key takeaway is that readers will gain a clear understanding of their own capacity to give care to a terminally-ill or frail person, and to perhaps deepen their compassion and empathy for all past, present and future caregivers. Caregiving is the most privileged and challenging service that one human being can give to another and with many more people wanting to die at home, instead of in a hospital or an institution, the need for caregivers to support their preference is increasing every year. A perfect day for me includes caring for my flower garden; working for a couple of hours on my latest book; hearing from any of our six children and eight grandchildren, and enjoying the company of my husband at lunch at one of our favorite restaurants in and about town.